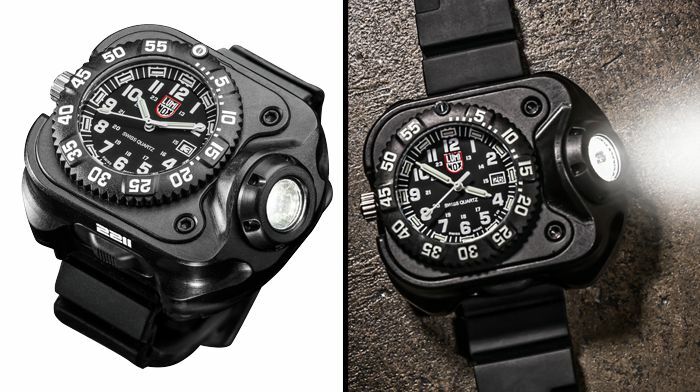 **** Chosen by Winner: James C.
The SureFire 2211® Luminox® WristLight—the first of its kind—offers tactical light output that’s instantly accessible since it is securely strapped to your wrist, and it also boasts an integral Luminox timepiece. This 2211 model—rechargeable like the original—features a high-performance LED whose light is focused by a refractive optic into a broad, intense 300-lumen wall of light designed for tactical situations. Its Swiss-made Luminox timepiece is integrated into a lightweight, rugged body that straps securely to your wrist via a durable rubber wristband, and its watch-face features self-illuminated hands for low-light applications. This is the ultimate hands-free light and watch combination—and it’s ready for any challenge, especially if things go south.